Because of initiatives such as the Open Compute Project (OCP), racks are now being shipped fully configured, weighing as much as 850 kg. and costing ~$250,000 in hardware and setup. Protecting your valuable equipment with a rack server shipping crate ensures that it will arrive safely and work once it is installed in the data center. Often rack crates need to be designed for multiple use, which lowers the cost per trip. LPC manufactures rack crates to tight tolerances which leads to superior performance of the crate especially when a shock or impact occurs. Today's multimode supply chains and material handlers place damaging vibrations, shocks, and stresses on equipment and packaging – especially when handled by 3rd parties. 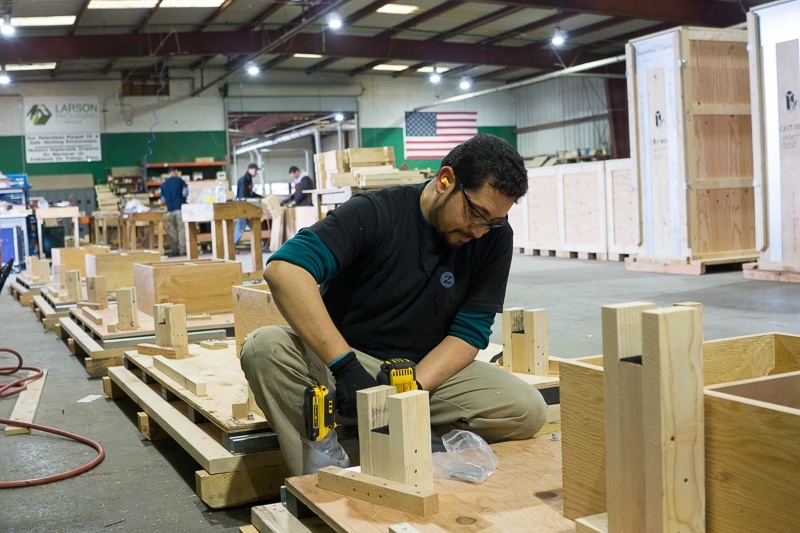 We manufacture every crate from high quality lumber, plywood, foam, and fasteners according to our proven designs. We inspect and mark each rack crate so that the maximum precautions have been taken to protect every piece of equipment. Each rack will fit snuggly so that it will not move during the entire delivery path. 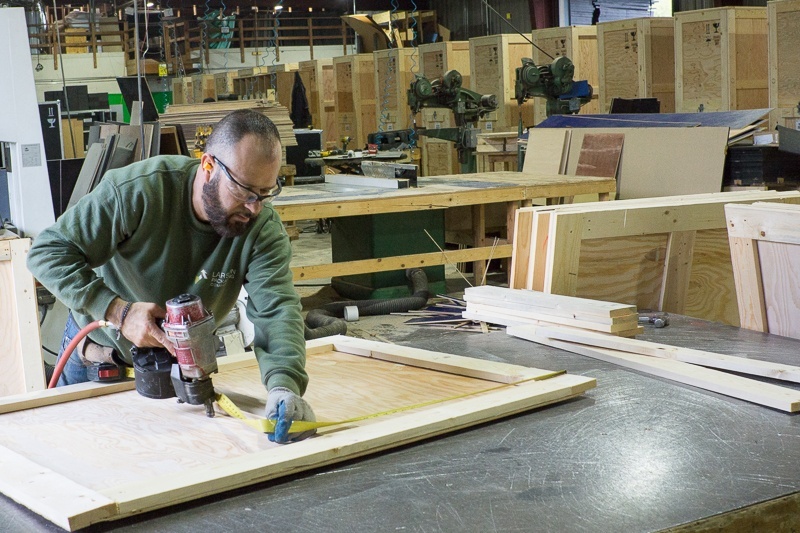 Our design engineers are experts at taking your requirements and translating them into a cost effective plan that incorporate the most successful ramps, foam support, and the structure and base of the crate. Designing for the weight and geometry of your equipment ensures that the crate will perform its function and the equipment will not shift around during transit. The correct amount, type, and density of foam will be designed for shock absorption and vibration dampening. Blocking and bracing secures the payload, and a good design eases loading and unloading which minimizes accidents and increases efficiency. Over the past few years Larson Packaging Company (LPC) has built thousands of rack crates to support the migration to cloud and next generation data centers. 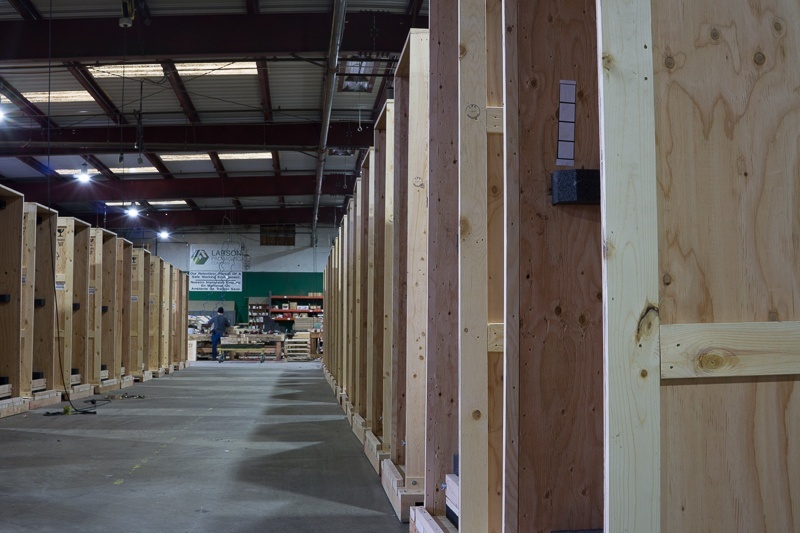 All LPC crates are manufactured in the USA in our Milpitas California facility. LPC also works with other suppliers to ensure that your rack crate can be manufactured to our standards and performance. To date, we have partnered with providers in the UK, and Memphis TN. In Milpitas, LPC maintains extensive inventory and can design and build rack crates on short notice in quantity. LPC will meet your timetable, and work to quickly resolve any issues if they arise. As your packaging partner we will work beside you in your supply chain, giving you reliability and flexibility for all your packaging needs. our crates are built to withstand the rigors and dampen the effects of the harsh shipping environment where safe handling is anything but guaranteed. our team of experts is committed to seeing that each rack crate shipping experience is efficient and worry free. Challenge: A major social media company needed to deliver rack servers to distant locations in “plug and play” condition. Solution: Larson Packaging Company’s engineers designed and tested a prototype that can be built at the company’s own site. Innovative loading lifts and exit ramps are crafted to remain at data centers. Larson’s ability to streamline the process has realized measurable savings for their client. Challenge: A customer was shipping two different size rack servers requiring two separate crate designs, complete with alternative lifts, ramps and other crate requirements. Solution: In an effort to simplify their workload and reduce costs, Larson Packaging Company’s engineers created a “hybrid” crate that can accommodate either size unit. This elegant, multi-faceted unit is less taxing on its employees and is producing considerable savings for the company. This is the first in a series of blogs about the art and science of safely crating and shipping server racks. Our intention is to start with a brief overview which we will follow with more detailed blogs about specific areas we consider essential at Larson Packaging Company. At Larson Packaging Company, there is one area in particular where we continually see well intended crate buyers lose sight of the big picture, and that is in evaluating the cost of wooden packaging for valuable equipment. While the job of a crate is to protect valuable cargo from damage during shipping, the job of the packaging designer is to build a durable crate sufficient to withstand the challenges of travel.